Two students who found clever ways to use agro-industrial wastes for greater purposes were added to UPLB’s growing list of BPI-DOST Science Awardees. 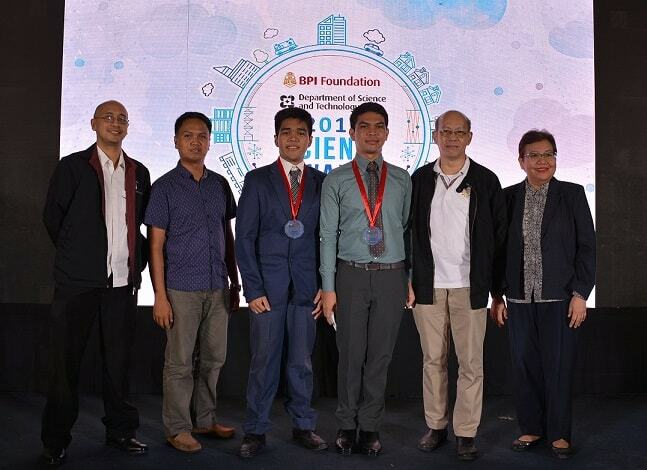 The annual quest, spearheaded by the Bank of the Philippine Islands (BPI) Foundation in partnership with the Department of Science and Technology (DOST), recognized John Christopher A. Dañez and Joshua T. Dimasaka for their outstanding science research projects. 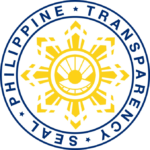 Together with 23 other winners from all over the country, they received medals and cash prizes during the awarding ceremonies at the Makati Sports Club on June 6. Dañez, a graduating BS Chemical Engineering student, also made it to the top ten with his research entitled “Bioplastic production from Bacillus megaterium using simulated hydrolates from agricultural residues.” His research study aims to lower the cost of bioplastics (polyhydroxybutyrate, or PHB) by using no-cost lignocellulosic agricultural wastes and residues. Dañez used simulated hydrolysates of sugarcane bagasse, corn stover, and banana pseudostem to optimize the fermentation factors for bioplastics production. Dr. Catalino Alfafara is Dañez’s adviser. Meanwhile, Dimasaka, a graduating BS Civil Engineering student, researched on “A rapid non-destructive characterization of microstructure of cement paste with nanosilica synthesized from rice hull ash using low frequency impedance spectroscopy.” His research found that the admixing of nanosilica, which was synthesized from rice hull ash, can contribute to stronger and more durable concrete materials. This is through a rapid, inexpensive, and non-destructive technique of low frequency impedance spectroscopy. The said admixture can give a more refined structure to the concrete, which could inhibit chloride attack. Dr. Marish S. Madlangbayan, vice chancellor for planning and development, is Dimasaka’s adviser. Dañez, who received additional prizes for making it to the contest’s next cut, referred to the award as an inspiration to aspiring scientists. “It proves that one’s determination, hard work, and patience can actually be recognized and celebrated. This award shows how simple ideas can solve complex problems and can contribute to nation-building,” he said. Dimasaka, on the other hand, said that winning the contest was a milestone in achieving his dream to become a young scientist and engineer. He was also thrilled to meet fellow young scientists across the country with the same vision of creating a more sustainable society. With the theme “Forming a sustainable country through science and innovation,” the BPI-DOST Science Awards 2018 targeted innovations that support sustainable development and have potential to help solve the challenges of the 21stcentury.